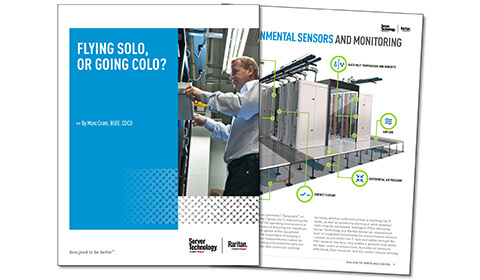 White Paper: Flying Solo or Going Colo? Intelligent Racks — Your Best Choice when "Flying Solo" or "Going Colo"
Flying solo is the way to go when IT is a profit center rather than a cost center for the company. A well-designed IT environment with the right “user experience” can be a lucrative means of differentiating one company from another. On the other hand, choosing to place your data center assets at a colocation (“colo”) facility can be a logical step for many IT-centric businesses. In this whitepaper, we'll further discuss the pros and cons of each.